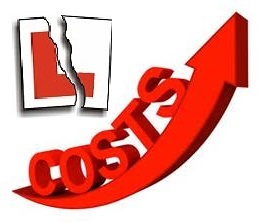 Russ Chaplin's Driving Instructor Blog: Price Surge for Driving Lessons? If you are busy then a yearly price increase would make good business sense, like inflation, but I would not increase price when even I start to get busy, which could mean multiple prices increase a year, and then drop prices when I get less busy, again more prices changes, all quite confusing. Part of the reason why I keep my pricing structure quite simple, no different charges for time of day or test day or for student, NHS workers etc. As I too are not too keen on saying to existing pupils 'you need to start paying more' I tend to keep them on the rates they started on and only charge the increased rate to new pupils.